It is just after 2 am when I hear the sound. It is the soft patter of raindrops hitting my sleeping bag, and I have just realized a long night is about to get even longer and even more challenging. 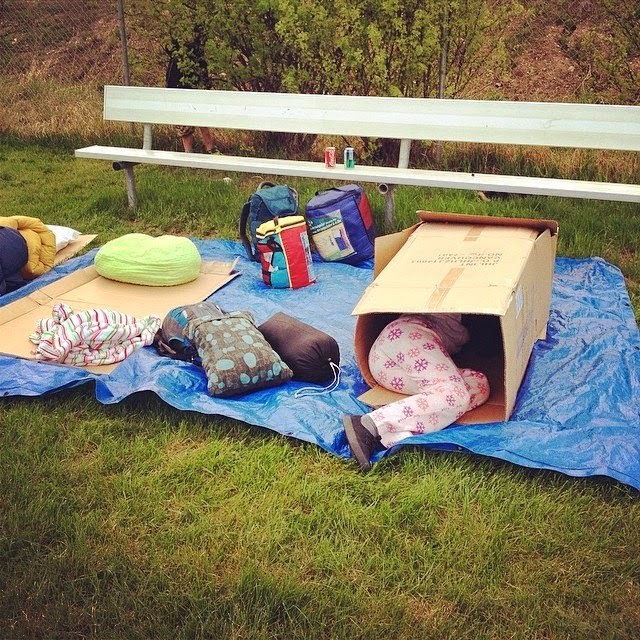 I feel a tug at my leg and I throw back the sleeping bag on top of me to see the Intrepid Junior Blogger's face peering at me from inside her cardboard box, where she has curled up in her sleeping bag. And so it is, raining on top of us as we sleep in a park in downtown Fort McMurray at Hope in the Dark, the annual event hosted by the Centre of Hope to raise awareness of homelessness in our community. It was my third year at this event. having been an "early adopter" and attending every one since it began three years ago. It has become the event I will not miss, no matter what else might be going on in our community, and this was the IJB's second year. We were prepared - mostly - for a little rain and so I drew the tarp over me, hoping it would keep the worst of the rain out. It worked, mostly. Our night had started at seven with some speeches from those who work in our community with the homeless, and those who work with those with mental health issues. 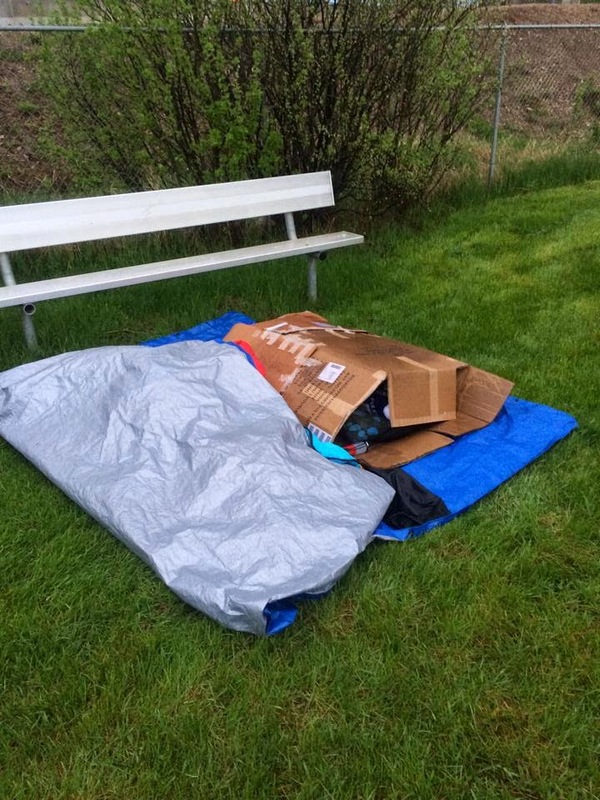 Once again Phil Meagher, a man with a heart of gold, had arranged for us to use the field behind the Fort McMurray Public School District head offices. It should be noted that Phil could have been in a tux and at a fancy gala, but instead he was in jeans and his traditional orange toque, stoking fires and sleeping outdoors just like the rest of us (if you are ever in any doubt if Phil is a good guy and as genuine as he seems, doubt no longer as he is even better than you think). Atco Gas, the event sponsors, ran a barbecue and the attendees had to scrounge up some recycling to pay for their food. I was touched when the Atco representative informed the crowd that when the sign-up sheet went out for this event they had to take it down quickly as it filled with names of volunteers, people giving up their own Saturday night with their families to feed those of us at the event. I think that says a great deal about the folks at Atco Gas, too, and their desire to give back to this community. We set up camp early, and three years in we have learned a few things. First down went the tarp, and then on top of it some cardboard. The IJB, thanks to some tape borrowed from the kind folks at Atco Gas, managed to create a little box house to sleep in, declining the cover of the tarp saying the box would keep out the rain (in retrospect it seems we are still on that learning curve). We went back up the hill to join the crowd for a special moment at 11:30, and a special guest even joined us. Jim Prentice, in town as he seeks the leadership of the PC Party in our province (and the accompanying role of Premier), dropped by with MLA Don Scott, bringing with them coffee and donuts for a very appreciative group as the night grew colder. I will write more in a future post about Jim Prentice, but to be clear I hold in high regard any politician who attends small events like these that have little social cachet but a great deal of social consciousness. Even the IJB, who has become a bit of a cynic about politics, was impressed. 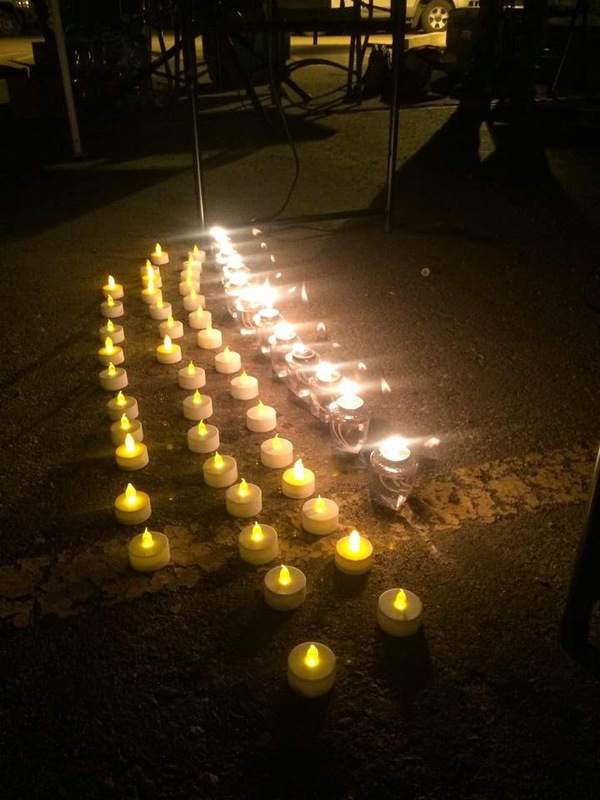 The special moment is a candlelight vigil held every year to remember those who have died on the streets of our community since the Centre of Hope opened. It is a sobering moment every year, because it puts a name to the statistics, and a recognition that each one of those names has a story. As Centre of Hope Executive Director Stephen Bryant read the names, candles flickering in the dark, I waited to hear the one name that always stabs me somewhere around my heart as while I did not know the individual I do know their story. And when Stephen says "Jazz" I can feel tears pricking the corners of my eyes, as Jazz is a woman who ended her days in our community in a dumpster. 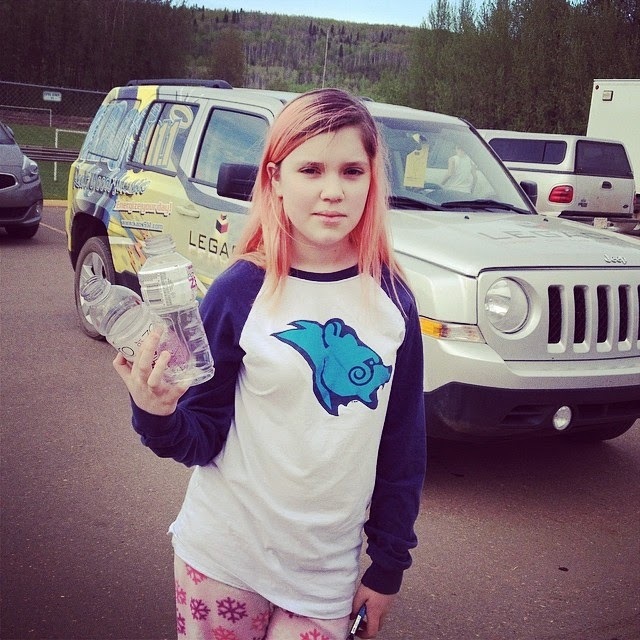 Her body is presumed to be in our landfill, but it has never been located despite a search. It is the kind of story that exemplifies the horror of homelessness, because this woman, who was once a young woman like my daughter, ended her life as if she were trash. The candlelight vigil over, we make our way down the hill and into the field, crawling into our sleeping bags. Surrounded by friends I feel safe, but even then I can't help but think about things like The Blair Witch Project and The Walking Dead and wish I watched a lot less television and movies about witches and zombies, pulling my sleeping bags over my head. My precious little girl is spending her night in a cardboard box in a field, with rain pouring down around her. 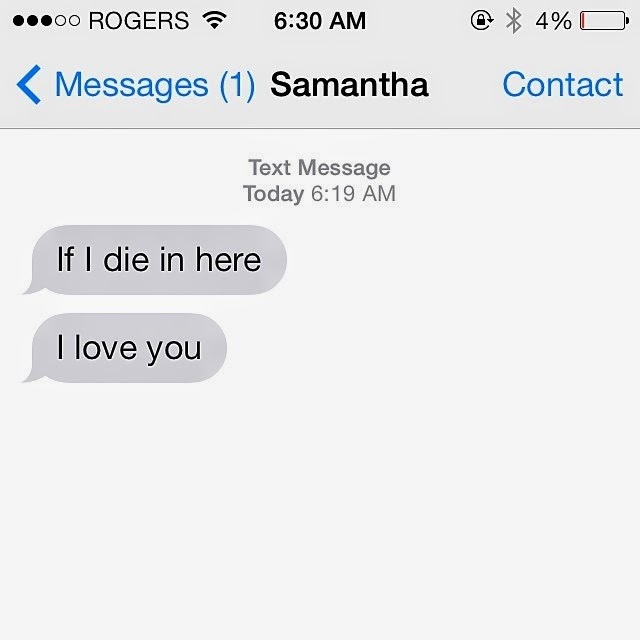 I will never delete this text, I decide. I sleep fitfully for the night, waking to every sound and when I finally do fall asleep I am awakened shortly after by the songs of local birds, and the sounds of the others around us getting up and moving. It is 5:30 am, and time for breakfast. I throw off the tarp and am rewarded with a face full of water that has collected on it overnight, and shake the IJB's box. A small white hand shoots out, points to the trees across the field, and says: "What kinds of birds are those singing? I'd like to know which ones need to die", and the hand is retracted into the box. 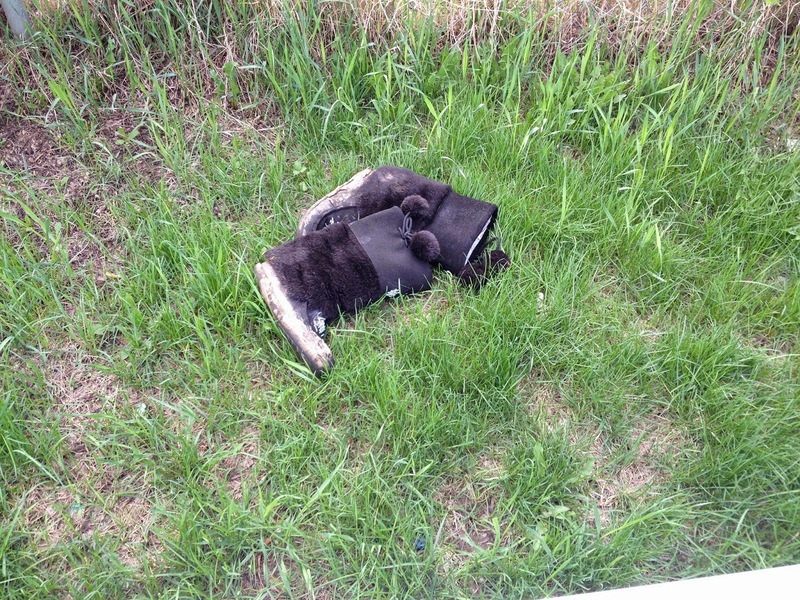 It seems the IJB had a rough night, too. We begin to pack up our camp, most of our things quite damp, and head up the hill for donuts and coffee and one last bonfire. It is a quieter group than it was last night, most of them likely having had an equally rough night (except perhaps those in what we call "Club Med", the tents that scatter the field and that the IJB and I poke gentle fun at as "campers"). We gather around the fire and talk and laugh and then we all begin to drift away to our days, most of us headed one place first. How ironic it is that the first place we can go after a night of pretending homelessness is home, for me a quick shower and then to crawl into a warm and safe bed in a home I adore. My home is not large or fancy, not a showplace mansion and not of terrific size - and yet it is so much more than so many in our community have. When they woke up this morning, cold and wet and tired after a rough night, they don't go home. They went to the Centre of Hope. You see that is what the Centre of Hope is for the homeless in our community. For those who do not have a home it is a place to grab a shower and do some laundry, but it is also so much more. It is a place where they are safe, and warm. It is not home, but it is a facsimile of one, a place where they can be with friends and be out of the elements. It isn't just a centre of hope - for those who do not have the luxury of a home it is a sort of home during the daytime hours in our community. 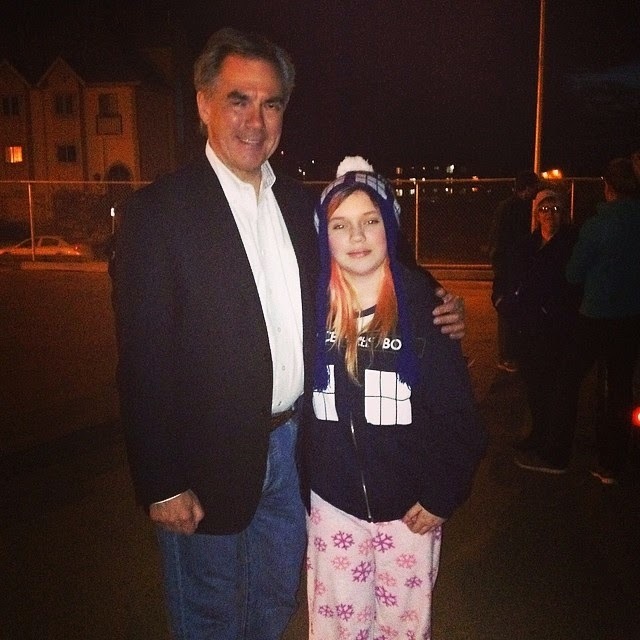 The Centre of Hope has some hopes, too, ones they shared with Jim Prentice last night. They would like to build a new facility to replace their current building, a space that is far too small and far too old to meet their needs. These hopes of theirs may seem like dreams, but the reality is that hopes and dreams are things that can be achieved if the right people put their minds and energy to it - and I hope this community supports the Centre of Hope as they work on making their hope into reality. When the IJB and I set up camp last night right behind the metal bench where we always set up we found something. This bench has become known as "Theresa's Bench", as the first year I slept on it and every year since we sleep close to it. We found a pair of socks, and a pair of mukluks, a reminder that the homeless in our community don't sleep in this park for a night of raising awareness of homelessness. They sleep in this park as part of their daily lives in our community, and it seems perhaps that my bench may well on occasion have another occupant, one who is not there by choice but by chance. It is incredibly difficult to put into words what Hope in the Dark means to me. I suppose the best way I can describe it is that every year I find myself with my heart full, my mind whirring and opened to the reality of life in our community. We live in one of the most affluent communities in the country and yet over the past few years almost 50 individuals have died on our streets. Hundreds more have lived on them, and some of them still do. 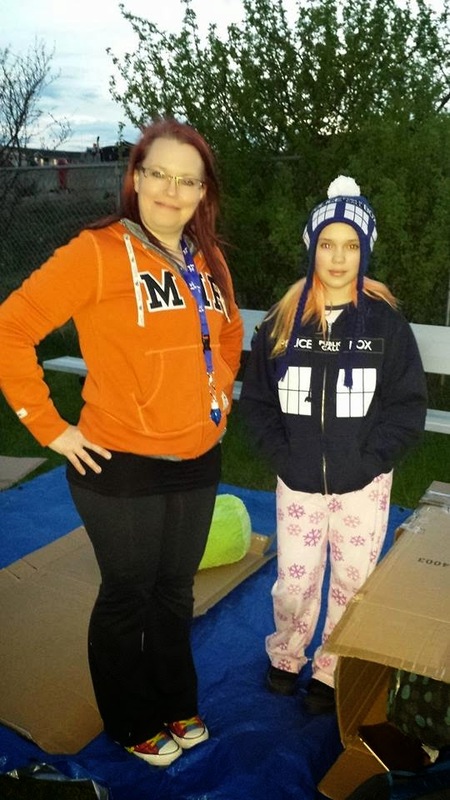 We had a lot of new participants at Hope in the Dark this year, including a number of local youth, and I hope it was the kind of experience that opens their minds, too - and more importantly their hearts, as I fear far too often our hearts begin to close to the plight of others as we become immune to the sorrows we see around us every day. Open hearts and minds, and willing hands. 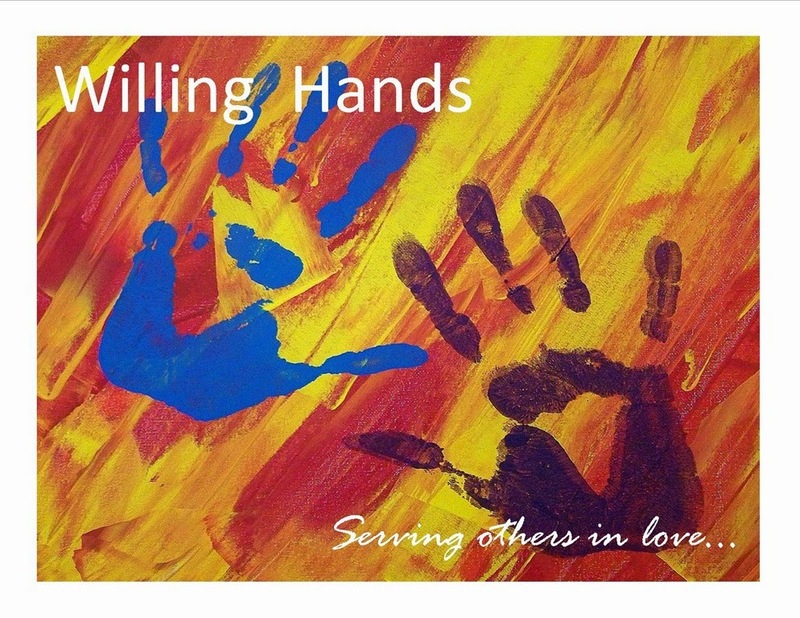 That was the phrase that kept coming back to me during the night, the need to keep our hearts and mind open and our hands willing to do whatever we can to improve the lives of others, Sometimes it means donations to local groups that work with those in need. Sometimes it means volunteering. Sometimes it means being willing to give up your home for a night to sleep rough and listen to rain pouring down, finding yourself alone with your thoughts and the realization of how very, very fortunate you are. To Atco Gas, thank you for being strong community partners. To Jim Prentice, Phil Meagher and Don Scott, thank you for showing true political leadership. To local media, thank you for covering an event that is far from some glittering glamourous gala, but perhaps far more relevant to the lives of every person in this community. To my fellow participants - thank you for sticking through the night and not giving up. Not one person quit last night, despite the rain and different levels of preparedness for the elements. That fortitude says a great deal about your open hearts and minds, and especially your willing hands. You are all heroes to me, because I know all of you have given of yourselves to show that you have open hearts and minds, and willing hands. And finally to the Centre of Hope - thank you. For last night, for all you do, for helping others find hope in the dark, for caring and most of all for giving those in our community who have no home some sense of home 365 days a year, every year. There is no way to show you enough gratitude for what you do, and so I simply say this: thank you for ensuring homelessness is not hopelessness. I was thinking of you this morning when I woke briefly, in my own wrm bed, and heard the rain outside. I have to say last night was a most pleasant evening spent with some wonderful, caring people. Glad I was there, even if only for a few hours.